Dinah is a singer, songwriter and creator living in Los Angeles, CA. She specializes in the music of the War Years, though she has been known to warble out a rollicking Musical Theater song - and the most cheesy of Pop tunes. 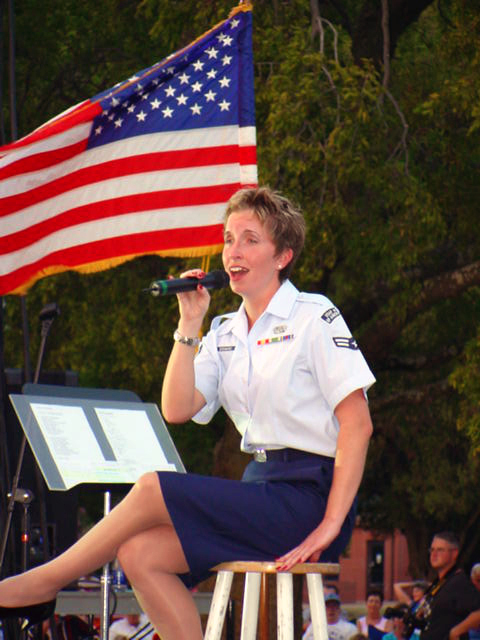 Through her years as a USO singer/dancer, and featured vocalist with the United States Heritage of America Band at Langley Air Force Base, Dinah developed the greatest respect for the music of the 1930s and 1940s -- the greatest music ever written. It is this love of classic American songs that inspired the writing of Yankee Doodle Doll, Dinah's original one-woman show telling the story of a female WWII pilot. She was thrilled, after years of dreaming, to finally see this inspiring show come to life on the stage.